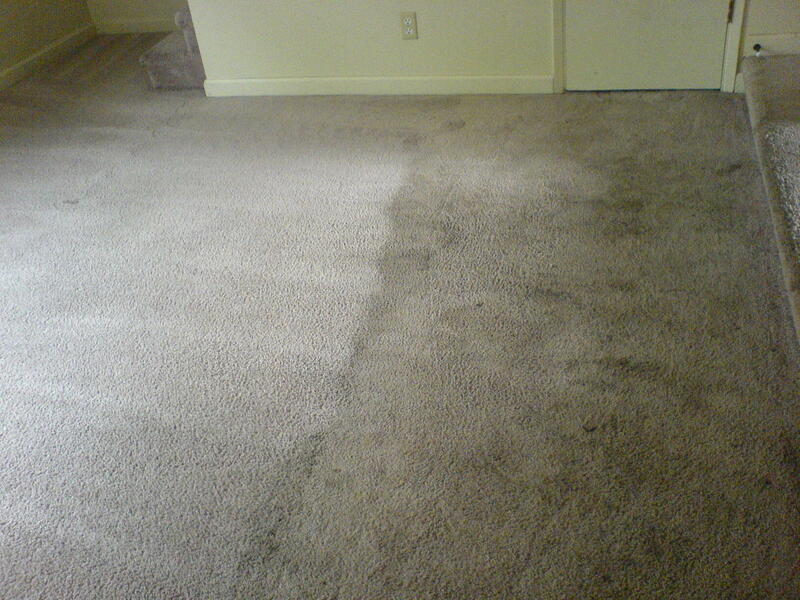 Heavily soiled carpet from a rental. We cleaned half so you can see the difference next to each other. This entry was posted in Uncategorized on April 23, 2015 by magicAdmin.